Obeying Laws in the U.S.
Alcohol and Drugs, Driving, Drivers License, Washington State ID Card. Complete the USCIS Intake Form provided at the beginning of the school year and return it to the International Student Advisor within ten (10) days of the start of classes. F-1 visa students must not transfer from one school to another without first securing permission from the Director of International Programs at your old school. If you wish to transfer schools in order to move to the next level of education, you must have the International Student Advisor transfer your SEVIS record to the new institution. Find a safe place for your passport and I-20/DS-2019, since these are your legal identification. Obtain a Washington State ID Card, so that you won't have to carry your passport and I-20/DS-2019 with you. disciplinary action as a result of a student who is convicted of a crime. For more details about the SEVIS system and a complete list of information that the university is required to report to the USCIS, please contact the International Student Advisor. If you have questions about immigration matters, please make sure you follow the advice below. Never go to the USCIS office or contact the USCIS without first consulting the International Student Advisor. The International Student Advisor is the first person to contact when you have any problem with your immigration status. 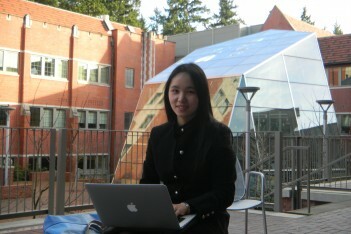 In fact, the International Student Advisor attempts to help students who have immigration problems. It is true that International Programs is required to report students to USCIS who fail to maintain their F-1 status at Puget Sound. This is required in order to retain the university’s permit to admit F-1 students. It is very important to note, however, that International Programs only informs USCIS when necessary and has no power to enforce its laws. Do not rely on friends as a source of advice on immigration matters when faced with serious problems. Do talk with the International Student Advisor about the possibility of consulting an attorney who specializes in immigration law. This information will provide you with a basic understanding of (1) the limitations placed by regulations of the U.S. Bureau of Customs and Immigration Service (USCIS) upon the length of time you may be enrolled in a program of study and (2) the procedures you must follow if you require additional time to complete program requirements. Consult with the International Student Advisor if you believe the time limitations placed upon your study are insufficient to allow you to complete your current program. 60 days to depart the country after program completion. The USCIS grants duration of status to F-1 students by entering the notation "D/S" in the upper right corners of both the "Certificate of Eligibility for Nonimmigrant (F-1) Student Status" (USCIS Form I-20) and the "Departure Record" (USCIS Form I-94). The "completion of studies" date in item #5 on the most recent USCIS Form I-20 you were issued is the date by which the USCIS expects you to complete requirements for your current program. If you are unable to complete your program of study by that date, consult with the International Student Advisor at least 30 days before reaching the I-20 completion date. If you are eligible for an extension of your time limit, the Advisor will assist you to comply with extension requirements. The delay in completing program requirements has been caused by compelling academic reasons (such as changes of major field or research topics, or unexpected research problems), or compelling and documented medical reasons. Delays in completing program requirements which are caused by academic probation or suspension are not acceptable reasons for extension of a program of study. If your completion of studies date has expired or if you do not meet the eligibility requirements to apply for program extension, you may need to apply for "reinstatement" to lawful F-1 status. In this case, immediate consultation with the International Student Advisor is necessary. You must apply for an extension within the 30-day period before the completion date on your I-20. You should contact the International Student Advisor at least 30 days before your I-20 completion date so that you will have sufficient time to prepare your application. If your completion date has already passed, please contact the International Student Advisor immediately. For information on application procedures, contact the International Student Advisor to make an appointment. It is your responsibility to comply with all immigration regulations which apply to F-1 students, including the extension of study program regulations. The Office of International Programs will assist you to do this. If you fail to comply with your responsibilities, you may not be eligible to continue your studies in the U.S., or apply for benefits provided to F-1 students (on-campus employment, scholarships, assistantships, school transfer, practical training, etc.). In some situations, you may be subject to deportation. Additional information on your permission to remain in the U.S., as well as counseling and assistance, is available from the Office of International Programs. The International Student Advisor and the Director of International Programs will be pleased to offer information, counseling and assistance on all federal regulations related to maintaining your student status. It is important that you have valid immigration paperwork at all times during your stay in the U.S. The USCIS requires you to carry you passport, I-94 and visa with you at all times. You will be fined if the USCIS discovers you do not have the documents with you. Some students are not comfortable carrying their passport with them, but rather prefer to keep it in a secure place at home. These students carry a photocopy of their immigration paperwork in their wallet. They may still be fined if they are stopped, but they weigh that risk against the risk losing their passport, or having it stolen. With certain exceptions, any alien applying for a U.S. visa or seeking admission at a U.S. port of entry must have a passport. The most common exceptions encountered in educational institutions are Canadian nationals who are entering the U.S. from within the Western Hemisphere, and natives and residents of the Trust Territory of the Pacific Islands who have proceeded in direct and continuous transit from the Trust Territory to the U.S. The passports of all non-immigrants must be kept valid at all times. Foreign passports may be renewed in the U.S. by the designated representatives of a foreign government's embassy in Washington, D.C., or by officials of the consulates located in various U.S. cities. If you need to revalidate your passport, you should consult your embassy or consulate to determine what procedures are required to secure validation. Among other things, you may need a letter from an official of your educational institution, certifying your status. The Office of International Programs or the Registrars can provide this for you. With certain exceptions, all aliens applying for admission to the U.S. must hold valid visas. The exceptions to this requirement are generally the same as the exceptions to the passport requirement. A person's visa need not remain valid once he or she has used it to gain admission to the U.S. As long as you have "Duration of Status" and your I-20 is still valid, you can remain in the U.S. with an expired Visa. Travel to Canada and Mexico with an expired visa is permitted, however if you travel internationally outside of North America, you will be required to renew your visa before re-entry. Note: Canadian nationals entering the U.S. from outside the Western Hemisphere must have a passport, but not a visa. If you need to renew your visa, do it at home! You cannot renew it in the U.S. While it may be possible for you to renew it in Canada or Mexico, you may have a difficult time if you try to renew it in a country other than your own. In addition to proving your eligibility for an F-1 visa, you may have to convince the consul that you have a legitimate reason for making your renewal application outside your own country. In many instances the consul in the third country will find it necessary to check with the consular office in your place of residence and home country, this can be costly in terms of time and charges if information is requested by cable rather than by diplomatic mail. If your visa renewal request is denied, you may not be allowed to re-enter the U.S. Renew your visa at home! The documents needed for visa renewal are a valid passport, a current photograph, a valid I-20 signed by a Designated School Official, and proof you are able to finance your education. It is also suggested that you carry a copy of your academic transcript and proof of English proficiency. Contact the International Student Advisor if you have questions. For easier replacement in case of loss or theft, make copies of all immigration paperwork upon arrival at Puget Sound. does not require the authorization of the temporary admission to the U.S. under Section 212(d) (3) of the Act (a provision for waiver of excludability). is not a citizen of a "state sponsor of terrorism," as that term is defined by U.S. government. Furthermore, a person who entered the U.S. in a classification other than F-1 student, but whose status was subsequently changed to F-1 student, may be considered to have his previous visa automatically revalidated and converted to an F-1 visa if he meets the conditions stated above. Under these circumstances an F-1 student whose visa has expired not need to apply for a new or renewed visa at a consular post outside the U.S. Contact the International Student Advisor if your visa has expired but you would like to travel to Canada, Mexico, or territories contiguous to the U.S.
Every alien entering the U.S. temporarily (with a few exceptions, such as Canadian tourists and some Mexican nationals with U.S. border crossing cards) is issued a white card that is called an Arrival-Departure Record, or Form I-94. It is usually stapled into the alien's passport on the same page as the one on which the visa has been stamped. Some ports of entry now issue I-94s which can be read electronically, and may not be on the standard white 3x5 paper. The Form I-94 shows the alien's immigration classification and endorsements made by immigration officers indicating the place and date of admission to the U.S., the initial period of stay authorized, and any extensions of stay authorized. The I-94 is an important document that should be kept with your passport at all times. It is not uncommon in the United States for college students to transfer from one school to another, either to pursue a new level of study (for example, a master's degree after completion of a bachelor's degree) or perhaps just to complete the same degree at another institution. If you transfer to another school, or even remain at your present school but change your level of study, you must request a transfer of your SEVIS record. Please visit the Office of International Programs for details. is not deportable on any grounds other than failure to maintain status. The student must establish that failure to maintain status resulted from circumstances beyond his or her control or that failure to receive reinstatement to lawful status would result in considerable hardship to the student. The International Student Advisor can provide F-1 students with reinstatement applications and information. J-1 students who are out of status must contact the International Student Advisor for more information on reinstatement procedures. A valid I-94 card - if you still have the I-94 paper version (the white card in your passport). Except for brief visits to Canada or Mexico, you must surrender your form I-94 (the white card in your passport) when you leave the U.S. You will receive a new I-94 when you re-enter this country. A valid SEVIS Form I-20 or DS-2019 endorsed by the Office of International Programs. If the information on your I-20 is current, you simply need the signature of the Designated School Official (the International Student Advisor or the Director of the Office of International Programs). If the information on the original I-20 is no longer correct, you must request a new I-20 from the International Student Advisor. You should have your I-20 signed annually. J-1 students need the DS-2019 signed when they arrive at Puget Sound for travel. A proof of enrollment at Puget Sound (available from the Registrar's Office.). A valid U.S. visa. If the visa stamp in your passport has expired or will expire while you are outside the U.S., you must renew the expired visa at an American consulate or embassy abroad. See the related section Visa Renewal above. For travel to or transit through Canada you may need to obtain a Canadian Visitor's Visa. Visit the Canadian Visitor Visa webpage for information. International students in F-1 or J-1 status can work up to 20 hours a week on campus with the approval of the Office of International Programs. Employment off-campus is only possible if authorized if authorized by the Office of International Programs & USCIS. Contact the International Student Advisor if you are interested in working. For more detailed information concerning off campus employment through CPT or OPT, visit this webpage. As a condition of their admission in the U.S., international students are required to obey all federal, state and local laws. Your visa status does not protect you from prosecution under the law. Ignorance of the laws does not protect you from prosecution. It is to your benefit to know the local, state and federal laws, since being convicted of a misdemeanor may result in deportation. Students who regard their stay in the U.S. as a "vacation" from the rules of their home country will not do well academically, nor will they serve as good ambassadors of their home countries. Laws relating to purchasing, consumption and sale of alcohol differ from country to country and, in the U.S., from state to state. Since most of your time will be spent in the state of Washington, you need to know that the legal age to buy or drink alcohol is 21. If you are under 21 (a "minor"), it is illegal for you to drink alcohol. If you are 21 or over, it is illegal for you to furnish alcohol to those under 21. Establishments selling alcohol will require valid photo identification with your date of birth. Accepted identifications include: an International Driver's License, Department of Motor Vehicles Identification (if you do not drive) or a Washington State Driver's License would be accepted. Your university identification will not be accepted. The university policy governing alcohol use on campus is posted inThe Logger. In general, those who are of legal drinking age may consume alcohol in areas which are defined as private, such as the interior of Union Avenue residences and inside university-owned homes. A student's assigned room and some specifically designated lounges are private. Public areas where no drinking may occur are defined as the main lounges near a building entrance, hallways and foyers. The sale of alcohol on university property - public or private - is prohibited. Possession, use or sale of illegal drugs (e.g., marijuana, cocaine, heroin, hashish) is prohibited anywhere in the U.S. Penalties generally include: fines, jail sentences, and possibly deportation. Washington State has strict laws to punish drunk drivers. If your blood-alcohol level exceeds .08 you are considered to be driving under the influence of alcohol or drugs (referred to as "DUI"). If you are convicted of a DUI, you face mandatory fines, mandatory jail time, and possible deportation. Depending on your height and weight, your blood alcohol can be .08 after as little as one glass of wine or one shot of hard alcohol. Your international student status does not protect or exempt you from American laws. If you are going to drink, please do it responsibly. Either get a designated driver (someone who decides not to drink that evening) or take a taxi or bus to get home. For your own safety, never get into the car with someone who has been drinking. If you apply for a Washington Driver's License, remember to take your identification (passport, I-20 or DS -2019, home country driver's license, university identification card) with you. You must also take a copy of your SEVIS registration page in a sealed envelope. Three tests are required: vision, knowledge of laws, and driving. The fee for a new license is currently $89.00. Currently you do not need a Social Security Number (SSN) to obtain a driver's license, however, you may need to complete a "Social Security Declaration Form", in which you declare you have no social security number. If you receive a SSN at a later date, you will need to inform the DOL immediately.